They Dreamed. They Built. They Pitched. This year's competition was better than its ever been with further devolved teams, sophisticated business models, passion and extensive experience in their respective fields. Our esteemed panelists were consistently impressed with each team’s ambition and growth each week. 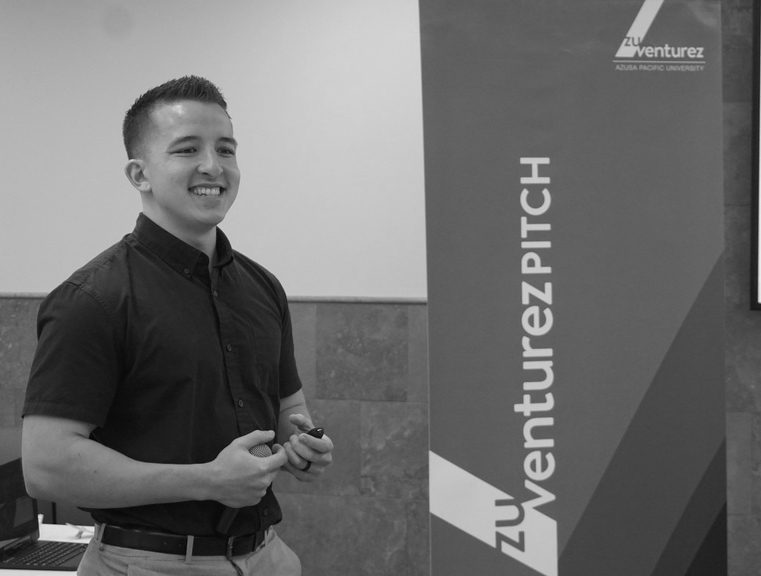 This is the second season that Zuventurez opened up this program for alumni to participate and we have 4 alumni teams out of the top 6 for FINAL PITCH this year! And now… the TOP 6 will take the stage on March 20th @7PM in UTTC to see who will be going home with the 15K! Register to attend. Murendeni “Mo” Nefale’s ‘16, M.Div., passion for helping small businesses and rural communities prompted him to create KHOMBA Africa. When his grandmother’s pipe burst in her non-metro South Africa home, she struggled to find a plumber in her community. Mo’s solution was to create an app where small business and rural consumers could have access to products and services without having to travel far/outsource from large metropolitan cities. As the number of smart phone owners has drastically increased, so has the need for the service he wants to provide. KHOMBA bridges the gap between consumers and services by providing a place where both can meet on an efficient and community-oriented platform. KHOMBA Closes the socio-economic gap, decrease unemployment rate by creating jobs, creates financial independence for small business owners and invests 10% back into the community. 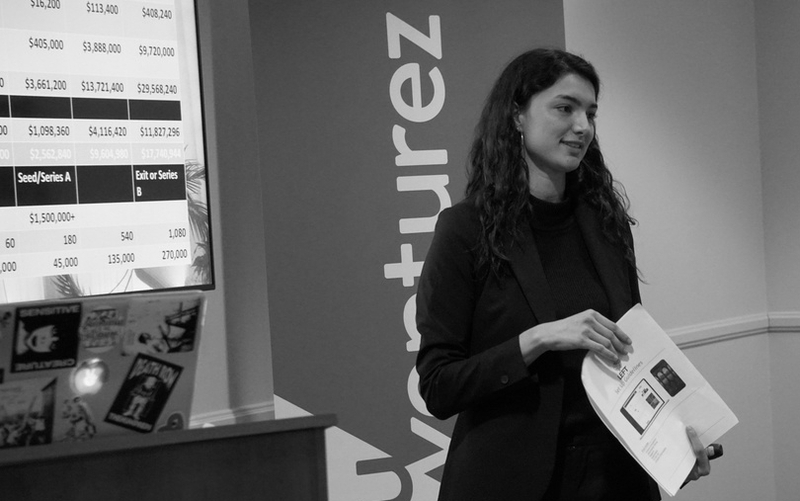 Undergraduate International Business major, Shayanne Wright ‘19, is Zuventurez Fellow veteran and PITCH 2017 participant, created LEFT to solve the problem and reduce the hassle of group travel with her app. Whether it be missions trips, study abroad etc. LEFT makes sure that your trip goes right. If you’ve ever traveled in a group, you understand and have lived the complexities and stress that group travel brings with the facilitation of people, coordination of travel and making sure everyone is on board with plans and Especially your flights! LEFT is an app that allows user to send messages, itineraries, travel information etc. that makes group travelling a breeze. Think Facebook meets Google Docs meets Excel meets Google calendar but all in one place! LEFT gives back a percentage of its profits to scholarships for clients and their programs. Studies show that one of the top reasons that people do not travel is lack of financial resources. LEFT strives to make travel simplified, streamlined and affordable while aiding churches and non-profits with the services they need at a price that fits their budget in order to make the most impact on their communities. APU alumni team; Kyle Jaynes ’16, B.A. in Graphic Design, Michael Austin ’16, B.S. in Business Management and Rickie Creitz ’16, B.S. in Business Management, thrive in places where creativity is encouraged within a community of supportive artists. That’s why they created Neat Speak. Neat Speak caters to the artistic community including content development, photography, fine arts, fashion design and startup creative businesses. Artists can rent out a desk, a studio office or a group office to engage their work while taking advantage of the 24-hour coffee bar and amenities that include a photo studio and more! The career path of a creative is not that far off from that of an entrepreneur. Their dream is to provide communal workspace with access to workshops and services that help them further their career. This community would provide artists from the LA area to more than just work in their artist friendly space, but to network and collaborate with others within their environment of the Fine Arts. Neat Speak encourages colorful, creative conversation within an environment that fosters creativity and collaboration for a brighter, more expressive world. They give back donating a portion of their profits to Inner City Arts. Matthew Tanoue ’13, B.S. in Kinesiology, D.P.T. ’19, met his wife at APU and has taken the ring in “ring by spring” to the next level. He and his wife work in fields where wedding rings can be a hazard to their work and patients. Love Strong Rings provide an alternative option to simply not wearing your ring to work. Approximately 4.3 million American individuals are not allowed to wear their wedding rings to work. Love Strong Rings creates custom, medical grade silicone rings that are customizable, comfortable and colorful options to fit your needs and aesthetics. They also offer laser engraving for special messages. Although they may not put the diamond ring industry out of business, they provide an affordable and stylish way to show off that you’ve got a bae while keeping the hazards at bay. Love Strong Rings encourages their consumers to love strong in all areas of our life and provides a product that allows you to move freely, safely and in style whether you need it for your profession or workouts. Love Strong Rings partners with World Vision to provide children from all over the world with financial help to fulfill their physical therapy needs. With every ring purchased, a portion will go towards the children and further heal and develop stronger communities. Andrea Driver ’17, B.A. in Graphic Design; Zack Goldstein ’18, B.S. in Computer Information Systems; David Bartholemew ’18, B.S. in Computer Science; Jason Kirschenmann ’18, B.S in Computer Science; Nathan Frasier, '18 in Computer Science; Keake Kaaku, '18, B.S. in Computer Information Systems, are passionate about music, design and cultivating a community where artists can be heard. With the current saturation of YouTube and other social media platforms, it’s more difficult than ever for musicians and singers to have their content noticed by those that can give them their big break and gigs. Dvvy is an online app that gives music artists the opportunity to breeze past these traditional media routes and get direct contact with record labels, gigs and collaborations. Dvvy wants to launch their app and build a community where artists can be recommended, booked and promoted through their unique profiles that feature their work, collaboration listings and industry connections. Dvvy believes that every child should have access to music and instruments in schools so that they can express themselves. That's why they established their foundation called "dvvythelove" where they collect second-hand instruments, clean, restore and distribute them to schools in need. They'll be hiring and training individuals who have a difficult time finding jobs, including ex-prisoners who want to positively re-enter society, to clean and restore the instruments. James’ partner, Roy, works in India and Uganda. The leather industry is very diverse in the way it varies in price and quality. Venture Leather is the best kind of leather you can get for its price. Venture Leather is all about quality simplicity. The beauty of minimalism and the feeling of conscious consumer is not just a trend, but a lifestyle. Venture embodies the sustainability of community involvement and designs that emulate the aesthetic of those who have the heart to give back, the hunger for adventure and an eye for great design. Louis Vuitton may be reppin’ that LV but Venture is reppin’ Africa. Check out his Vlogs and experiences in Uganda and India HERE! Venture’s goal is to inspire a generation to do business in Africa by investing 100% back into their community. Through James’ studies in his undergrad at APU, he wanted to figure out a solution to why some countries are poor and some are rich. Venture leather is a way to bridge this gap in a community that he’s grown to love, call home and invested his time, money and friendships in. 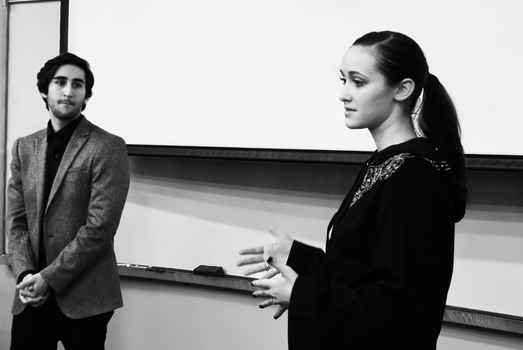 Come out and cheer them on by attending FINAL PITCH on Tuesday, March 20th @7PM in UTTC! And in case you need more incentive than watching your fellow APU'ers PITCH and change the world... the first 100 attendees will get FREE Chic-Fil-A ... an i-pad mini give away.. and a Zuventurez Fellows pop-up experience. Stay tuned for more Zuventurez News by subscribing below! Older Post#AskZach: The “Final Cut King"